This was in my first place that I lived in Edmonton on 99th St. 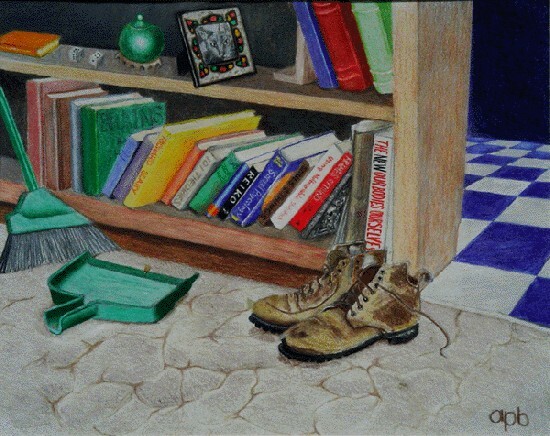 In this piece my back is to the window, which is the subject of the painting "99th St."
A detailed drawing by artist, Anthony Boughen of a pair of boots setting on the floor by a bookcase full of books with a broom and dust pan nearby. Just beyond it the blue and with checkered florr pattern in the next room.